Nancy Doniger is a Brooklyn artist/illustrator with works published in print and online for the New York Times, children’s books, businesses and nonprofits. Her fine art has been exhibited in NY, NJ, and MA. 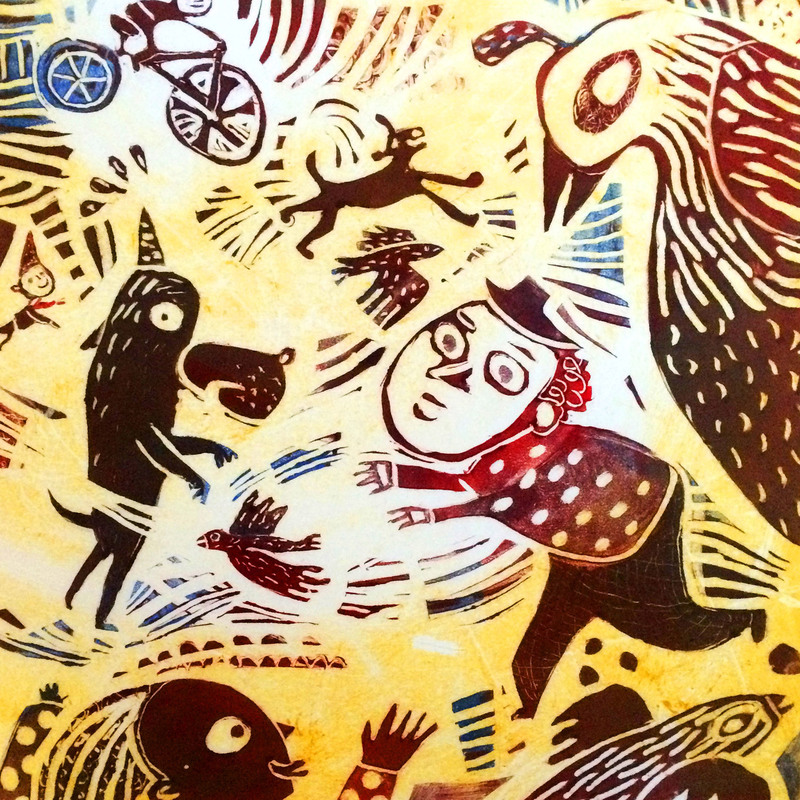 She has taught at Pratt and is member of SCBWI, CBIG, and MGNE and Zea Mays Printmaking. Sunday is the closing day for the Art Slope Pop Up Gallery exhibition. 22 Park Slope & Windsor Terrace-based artists are exhibiting affordable artwork in a fun, spacious storefront on Fifth Avenue & 16 Street in Park Slope. This entry was posted in Art, Events, Mixed Media, Print and tagged #artslope, #ArtSlope2016, #PSWTArtists #brooklynartist #parkslope #windsorterrace by reframes. Bookmark the permalink.